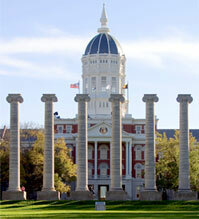 WHAT: The University of Missouri will hold several events during Mid-Missouri’s Innovation Week. Hosts include Mizzou and a group of regional organizations, universities and businesses that support and celebrate the entrepreneurial spirit of mid-Missouri inventors. Major supporters include Central Bank of Boone County, Columbia Business Times and RMI, Inc.
Shawn Askinosie who will discuss, “Finding a Vocation, Kinship and Work Worth Doing.” The presentation will focus on how he prioritizes fairness, sustainability, transparency, kinship, and community enhancement in his business, Askinosie Chocolate. Experienced entrepreneurs, counselors, financial advisors and professionals present 1-hour information sessions for those interested in starting their own business or expanding their current enterprise. Formed in 2012, the University of Missouri Coulter Translational Partnership Program is a five-year, $5 million partnership between the Wallace H. Coulter Foundation and the University of Missouri. The program works to accelerate the translation of biomedical innovations into products that improve patient care. The presentation will feature new technologies and faculty researchers, primarily in medicine and engineering, who have received funding for the upcoming year. This annual event recognizes University of Missouri faculty, staff and students who have achieved innovative and entrepreneurial accomplishments over the past year. Note: Please contact Sherri Helm at HelmS@missouri.edu to register. WHO: The events are open to the public.